A jewel box filled with items meticulously hand-selected by Marathon’s in-house design experts, whether a coach is custom built for a specific customer or is a Designers’ Choice show coach heading to an event, every luxury bus conversion leaves Marathon’s Coburg, Oregon, production facility beautifully and brilliantly accessorized. 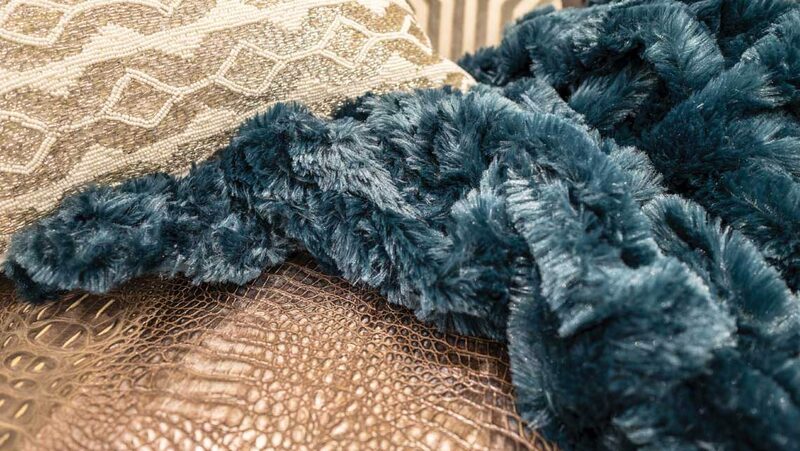 Marathon’s interior designers purposefully create their over-the-top luxury RVs with a neutral, classic palette that will stand the test of time. Therefore, it’s often their choice of accessories and accent colors that adds pop, color and interest. These elements can completely transform the look of a coach. Take Marathon Coach #1246, for example. 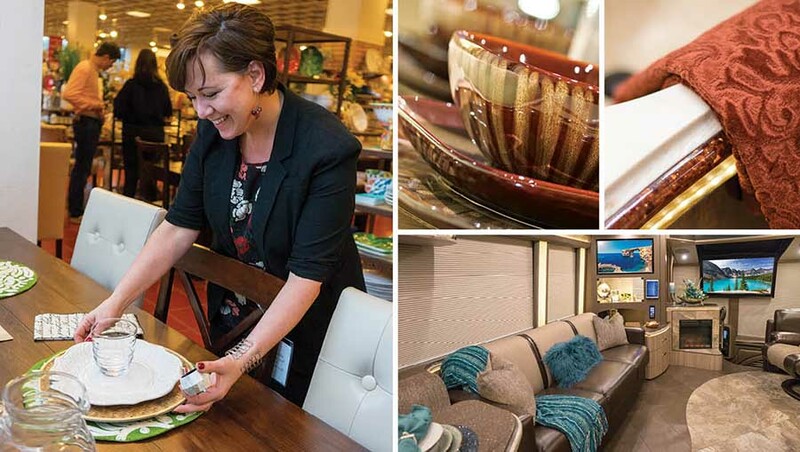 Originally accessorized in bright greens, potential customers found the floorplan and core décor to fit their design style and lifestyle, however, they were looking for something that incorporated their favorite color: sapphire blue. The transformation orchestrated by Interior Designer Brenda Craft was immediate, with the stunning blue providing a striking contrast to the neutral backdrop. 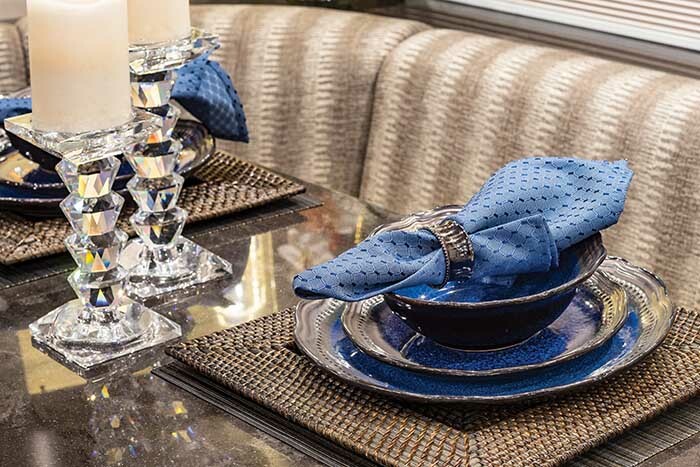 Currently producing approximately 20 coaches per year, Alan and Brenda vary the accent colors and décor according to what works best with the interior, as well as select details to best fit the season or location. For example, if the luxury RV is slated for our Florida location and the interior blends well, the designers might opt for aqua and teals to create a summer, coastal feel. However, if they’ve designed a more traditional, elegant coach, they may choose more luxurious details to emphasize and add opulence, such as the case for Marathon Coaches #1272 and #1248. For custom coaches the designers ask a lot of questions, paying close attention to what’s said during the clients’ spec meetings, as well as to unspoken nuances. Their goal is to personalize the family’s coach so it is theirs and theirs alone.